SMILE Laser Eye Surgery – Book your FREE laser vision assessment to see how we can make it happen for you. The key advancement is in the laser technology. 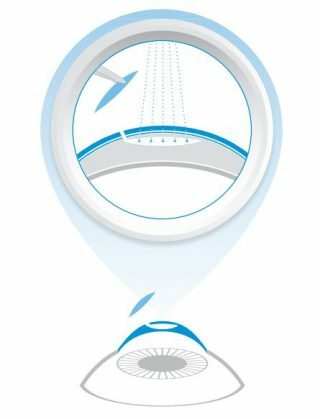 The Zeiss femtosecond laser can deliver incisive pulses directly to a focal point inside the cornea. The laser energy does not cause collateral injury before or after the focal point. 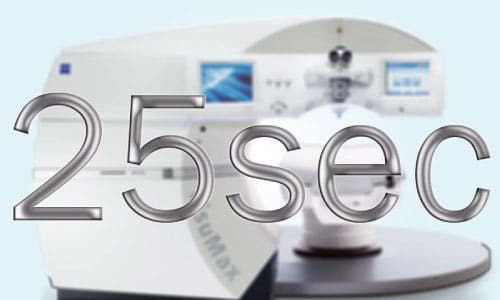 Typical laser treatment time is 25 seconds regardless of the correction required. There have been over a million successful procedures performed around the world. We are proud to be one of the FIRST clinics to offer SMILE Laser eye surgery in Sydney since 2018. 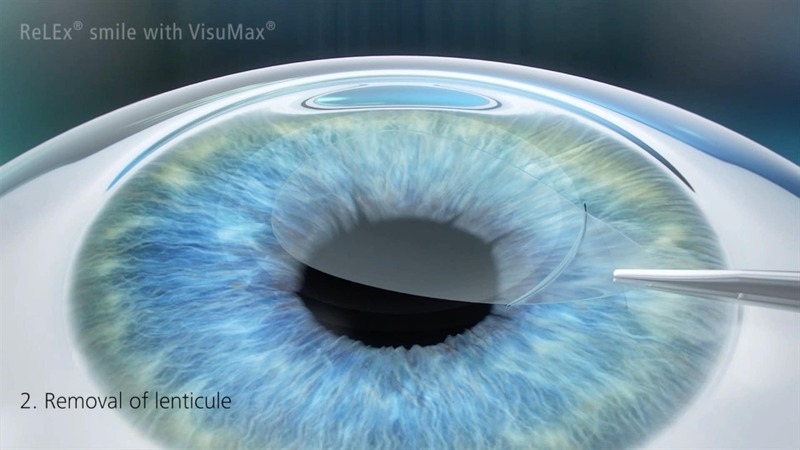 Less dry eyes from less damage to corneal nerves as compared to LASIK. 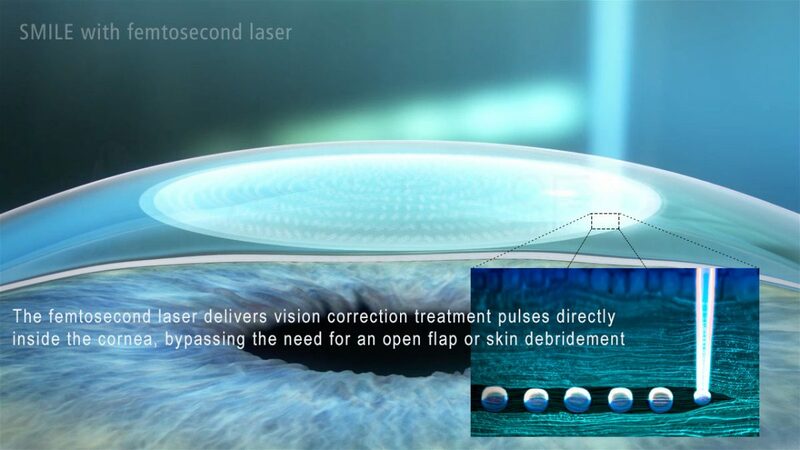 A laser is used to create a thin, contact-lens-shaped layer just beneath the corneal surface and then a small opening through which that layer is removed. Small incision lenticule extraction, or SMILE for short, is a minimally invasive treatment and requires no ﬂap. 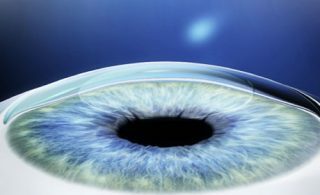 fewer immediate post-operative dry eye symptoms with SMILE as compared to LASIK. 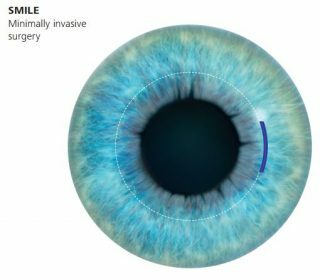 SMILE uses a femtosecond laser which can directly treat within the cornea without collateral injury to the surface of the eye. 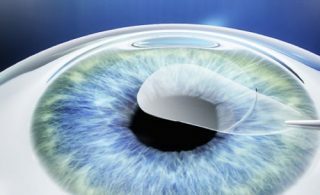 By using rapid laser pulses and precise three-dimensional control, the laser incises a lens shape (the lenticule) which corresponds to the optical error of a patient’s eye inside the cornea. The laser also creates a very small opening for extraction of this lenticule. The optical error is corrected once the lenticule is removed. Note the LASIK wound is 10 times larger than the SMILE wound. The superficial layers of the cornea (Bowman Layer) is the location of the highest tensile strength. It is important to remember that the cornea is part of the structural coat of the eye analogous to the leather on a basketball. 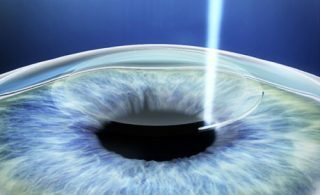 Laser corneal surgery weakens the cornea through the laser treatment and structural cuts when a flap is created in LASIK. If the cornea is weakened excessively then it can bulge and stretch leading to damage to vision. This is called ectasia (similar to keratoconus), which is a rare complication for all laser eye surgery. SMILE treatments are applied deeper and therefore preserving the strength of the cornea. On the other hand, LASIK flaps completely remove the structural strength in this superficial Bowmans Layer. As a result, the risk of ectasia is higher with LASIK compared to SMILE, although the overall risk is still low. Suite 23, Lv.6 Park House, 187 Macquarie St.